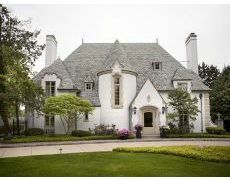 The Chateauesque architectural style is based on Loire Valley French chateaux built from the 1400s through 1600s. This style was popular in the United States in the latter half of the 19th century, from 1860 to the 1890's, but few examples were built after 1900. 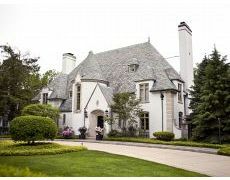 Many Chateauesque homes can be found in Chicago as well as in New York City, where the Vanderbilt mansion is an outstanding example of the style. 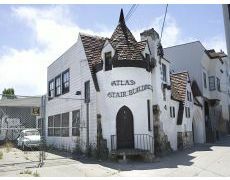 The style features mansard roofs, chimneys, and elaborate towers with conical roofs. Elements of Gothic and Renaissance architecture are incorporated as well. Chateauesque buildings are characterized by their vertical proportions, and are often asymmetrical with broken rooflines. Homes built in the Chateauesque style are mainly large and ostentatious mansions owned by the very wealthy. However, the style has also been also used for public buildings, most notably for Canada's Grand Railway hotels.